One of the best ways to build trust and confidence with your customers is to let other customers leave a review on your website. Now, 5-Star Customer Reviews are built in to Cart66. One of the cool things about how this works is that you can put customer reviews anywhere on your website, not just your product pages. For example, maybe you’re writing a review of one of your products in a blog post. You can show the customer reviews for that product at the bottom of the blog post. Or maybe you want to all people to submit reviews directly on your home page. You can put the form to collect reviews anywhere you want. Everything works with shortcodes and there is a new Cart66 Reviews button at the top of the page editor. Click the button and up pop a window where you select the product you want to either display or collect reviews for. Selecting “Display Reviews” enters the shortcode for listing the reviews you have already collected. Selecting “Collect Reviews” enters the shortcode to show the form for customers to leave a review. There are some new settings for managing your customer reviews. First, you choose if you want to approve the customer reviews before they get displayed publicly on your website. When a review gets submitted to your website, the status of the review is set to pending. You can then approve or deny the review. By default, only approved reviews show up on your website. If you want to allow the reviews to show up right away, select to show reviews that are Both Pending and Approved. You can always go back and clear out any spam reviews later. After a customer submits a review, a brief “Thank You” message shows up at the bottom of the review form. Here you can configure what that message says. If you are choosing to approve reviews before they are listed on your website, it is nice to be able to quickly look over all your reviews and approve them in bulk. 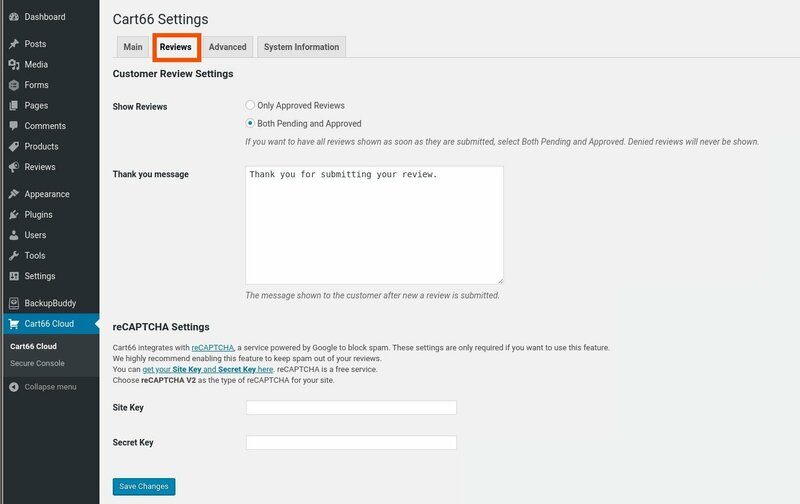 To do that, simply click the reviews you want to approve then select Approve from the Bulk Actions drop down. Then click Apply. Likewise, you can change the status to pending or denied in the same way through Bulk Actions. 5 Start Customer Reviews are now baked right in to Cart66 as of version 2.1.0. 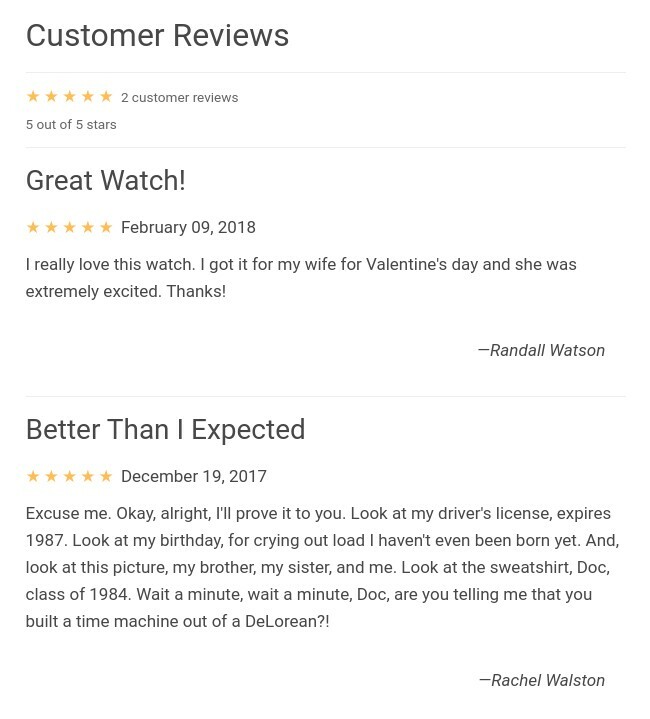 So, when you’re ready, go add some reviews to your website!